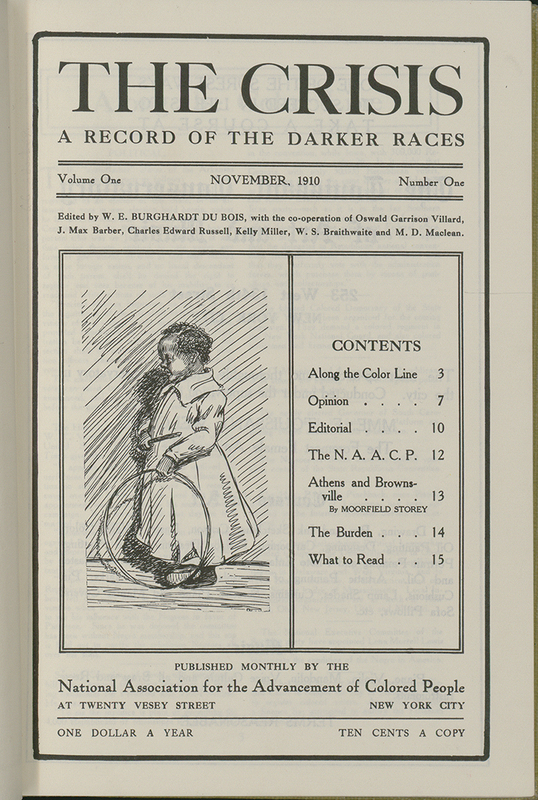 Since the 1920s, February (all or part of) has been designated as Black History Month. Each year, this designation rekindles a debate about the necessity of singling out a month to celebrate or acknowledge historically significant African-Americans. Instead of segregating black history, many argue, aren’t history lessons integrated all year long anyway? Isn’t it time to move on? Others believe that such views are shaded by short-sighted idealism, and that Black History Month remains an important placeholder in the long history of race in the U.S.
February also marks the passing of Presidents’ Day, a holiday celebrating the birthdays of Abraham Lincoln and George Washington. Both fit nicely in the context of Black History Month. The former, obviously, for bringing an end to slavery in the U.S., and the latter for signing the Fugitive Slave Act of 1793, which laid out the legal means by which slaveowners could recover their escaped slaves. In Philadelphia, Washington’s dichotomous celebrity in U.S. history is on display at the Presidents’ House, an outdoor museum of the first “White House,” where Washington lived when Philadelphia was capital of the country immediately following the Revolutionary War. Dividing his time between Philly and Mount Vernon, he shuttled his slaves between his two homesteads, effectively skirting the laws which would have required him to free his slaves if they resided in the same state for six months. Today’s Presidents’ House places this element of U.S. history front and center – integrating the consumption of African-American history with so-called mainstream history. Perhaps continuing to celebrate Black History Month has the unintended effect of designating all other U.S. histories as white, yet while we may live in a time people like to call “post-racial,” the history leading up to this point was not. That major events in the history of this country (i.e. the first president, the Civil War, the Civil Rights Movement, etc.) fall along racial lines underscores the importance of highlighting historical achievements and landmarks by African-Americans. A related conversation took place last week on “Radio Times” on WHYY, in which representatives from African-American media as well as a professor of journalism talked about the importance of black media. Guests Sara Lomax-Reese of WURD radio station, Irv Randolph of the Philadelphia Tribune and South Jersey Journal, and Lori Tharps of Temple University debated the relevance of black media in today’s ever-changing media landscape. One aspect that recurred throughout the show was that black media’s existence perpetuates positive representations of African Americans lacking in mainstream media. Like Black History Month itself, the issue of positive racial representations has been debated for over a hundred years. I recently found Jessie Redmon Fauset’s novel Plum Bun (1928) buried in the stacks of a used book store, and her role in the history of the African-American press dovetails nicely with this topic of authenticity and representation. Fauset was a novelist, poet, and literary editor of the NAACP’s publication The Crisis during the Harlem Renaissance. She encouraged and published many of the leading African-American writers of the time, giving rise to her reputation as a “midwife” of the Harlem Renaissance. Her own writing portrayed black, upper-middle class families dealing with racial, economic, and gender issues, representations that confused publishers and critics as being “too white.” Fauset’s characters were considered inauthentic mostly because of their socio-economic status. One topic Fauset focused on in her novels was the act of “passing,” where light-skinned African-Americans would “pass” for white. Like Fauset’s critics, the white antagonists in the novel are confused and betrayed by their friend who experiences life just like they do. In this sense, Fauset felt that showing similarities between black and white people was the best path to advancing African-Americans artistically, economically, and socially, a view that put her at odds with many of her colleagues. 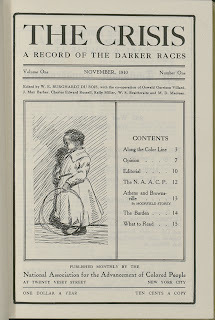 In a sense, the aesthetic disagreements between Fauset and some of her colleagues is analogous to the marketing project of The Crisis, which presented aspirations for its audience that would have been in line with the goals presented to the audience of its “white” counterpart publications. Linking conventional representations with progressive racial thought meant, on the one hand, subsuming racial particularity to homogenization. At the same time, it presented historically exploited people with an alternative vision of agency. Today, the issues of under-representation and positive representation are still being debated in today’s black media, as can be seen in the WHYY interview and the fate of Black History Month. Placing such debates in historical context merely underscores the importance of keeping race in the conversation. Labels: consumerism, Consumption Junction, education, history, literature, U.S. Interesting article, thanks. We've come such a long way in matters of race in the US, but we still have so far to go. You've provided some interesting information here. I did not know that slaves could gain their freedom by living in the same state for 6 months or more. That was in the 1790s? Was it only in northern states do you know?